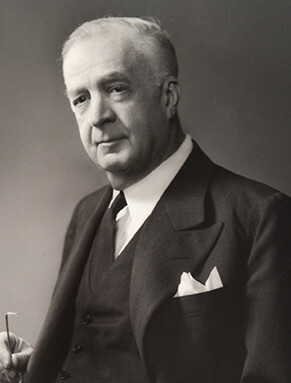 John Hartwell ‘Hart’ Hillman, Jr. took over the company at his father’s death in 1911. Energetic and entrepreneurial, Hart expanded into coal mines, coke production, barge building, blast furnaces, towboats, chemical plants, and real estate. This expansion and diversification carried the company through turbulent times, including the Great Depression of the 1930s—when more than 30,000 other businesses failed. Hart acquired interests in iron and steel producers and fabricators, oil, and banks. As a major stockholder, he played an important role in the development of Texas Gas Transmission Corporation. He was instrumental in consolidating smaller banks and trust companies into Pittsburgh National Bank—today PNC Financial Services Group, Inc., the sixth largest bank holding company in the United States.